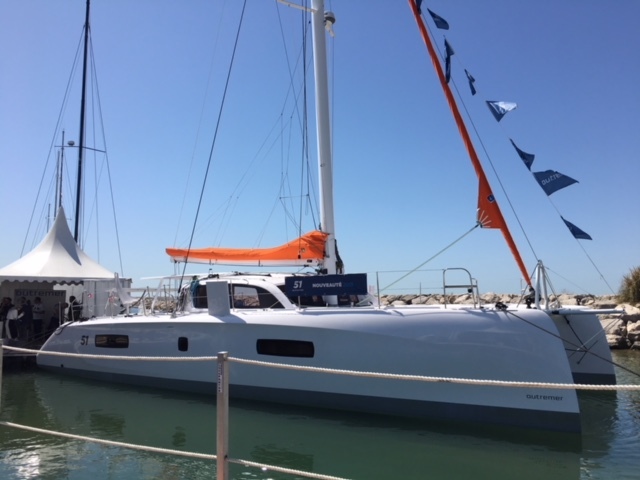 The all-new Outremer 51 catamaran made her world debut at the 2018 International Multihull Show, unveiled, and christened by the town’s Mayor, Stéphan Rossignol and sailor Loïck Peyron. The new Outremer 51 is the successor to the Outremer 49, winner of both European Yacht of the Year and Boat of the Year in the United States. Truly, the Outremer 51 sets the standard in cruising catamarans for families around the world with her various updates. The new Outremer 51 features an updated design, a new interior, and enhanced performance. Extra weight-savings have been achieved in the boat’s structure, allowing for even better performance. Expect the new 51 at the 2019 Outremer Cup.